A pretty memory wire bracelet with various green glass beads and a 10mm split ring at one end. 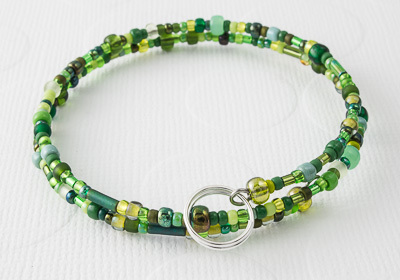 The diameter of the bracelet is 5cm, but will expand to fit all wrist sizes. Please change the quantity required once in the basket as they are made to order, and allow up to 3 week for quantities over 15.